July 01, 2017: With GST kicking in, prices of the Audi A4 have been revised. The ex-showroom prices have been revised across variants. Mumbai: The entry level luxury sedan now starts at Rs 38.4 lakh, as opposed to Rs 40.43 lakh pre-GST. That's a reduction of approximately Rs 2.0 lakh. Delhi: The sedan now starts at Rs 38.4 lakh, as opposed to Rs 38.1 lakh pre-GST. That's an increase of approximately Rs 30,000. Audi A4 prices start at Rs. 41.49 lakh for petrol and goes upto Rs. 45.07 lakh. The prices of A4 diesel variants start at Rs. 43.39 lakh and the top-end diesel is priced at Rs. 46.96 lakh. Audi A4 is available in 4 variants and 5 colours. Share your experiences with A4? The claimed ARAI mileage for the Audi A4 petrol is 17 kmpl, and for the Audi A4 diesel is 18 kmpl. Q. Which one do you think is better for daily use I do take my car for about 6 hours everyday in the city, is BMW 3 series GT better or Audi A4. I also have an idea XE? Q. Which one is better Jaguar XE are Audi A4? Q. BMW 3GT or Audi A4 or Skoda Superb? Q. Which petrol car is best ie value for money A4 (small engine But new generation -everything latest),330 i (old generation but more powerful ) or XE portfolio (powerful ,but jag ? less reliable ?more cost of ownership and ? less resale value ,compared to germans. Audi’s A4 finally has a diesel motor under the bonnet. And, it's more powerful than the petrol. Is it more fun? Is it a no-brainer? Competing against the likes of BMW 3 series, Mercedes C class, and Jaguar XE, Audi A4 is priced in the Indian market in the range of Rs 39.97-45.45 lakh (ex-showroom, Delhi). The exterior design of this affordable premium sedan is highlighted by LED headlamps, sculpted bumper, strong shoulder line, and chunky alloy wheels. Inside the cabin, the wraparound design theme and 3D inlays invoke the unsurpassable feeling of luxury and space. Other design highlights include unbroken air conditioning vents, plunging Centre console, large screen MMI interface, and floating dashboard. The A4 comes with two engine options: a 1.4- liter TFSI petrol (148 bhp/ 250 Nm) and 2.0-liter TDI (188 bhp/400 Nm), both mated to a 7- speed dual clutch transmission sending the power to the front Wheels of the car as quattro is not available in A4. 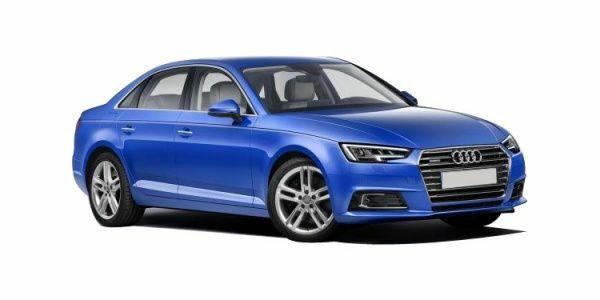 Available in exciting six colours, the Audi A4 comes in four different variants to choose from. This Is The Audi A4 Facelift? Look at it in isolation and you may not see the differences. Very luxurious and comfortable machine. Easy to maneuver in the city. Great driving pleasure on long drives.